A Beautiful Mind is a film which crosses many genres. It is a drama, a mystery, a spy thriller and a love story which also deals with issues of mental health and the cold war paranoia of the 1950's. 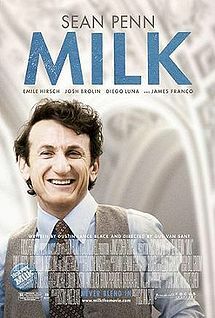 The film is directed by Ron Howard, who is great at towing the line between sentimentality and schmaltz. He is also not afraid to tackle different types of movies, an important element needed for a film which needs to move from one genre to another without losing its consistency. 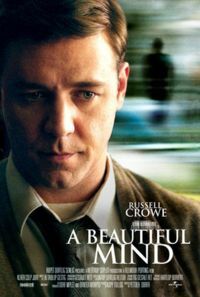 Russell Crowe stars as John Nash: a brilliant, supremely confident mathematician who contains a general dislike of people. During his tenure at Princeton University, Nash develops a new economic theory which he entitles "Governing Dynamics". 5 years later, he is recruited as a code breaker on a top secret mission to spy on the Soviets who have developed a nuclear device. Around this time he meets and marries Alicia (Jennifer Connelly), a university student. Eventually the stress and danger of his top secret work enhances his paranoia to the point where he trusts no one including his wife. Concerned, Alicia seeks help to explain her husband's irrational behavior and is shocked to find out that he is suffering from schizophrenia. Distraught that he cannot continue with his work, Nash weens himself off his medication and returns to Princeton. This leads to a prosperous teaching career, where he learns he will become the next recipient for the Nobel Peace Prize due to the impact his original theory has had on world economics. Russell Crowe - an actor who has made a name for himself as one of cinema's best modern actors - perhaps delivers his best performance as Nash, adding a fragility and sensitivity to his brooding intensity. He also comes across as a great mime in regards to his characters interactions with his imaginary friends. Also excellent is Jennifer Connelly, who plays the Saint in Nash's world haunted by demons. Connelly's beauty and grace perfectly suits the period in which the movie is set, while her impressive emotional depth is simply extraordinary (no one can put on the waterworks like she does). Paul Bettany and the ever dependable Ed Harris are very good in supporting roles. There is no denying the intentions behind A Beautiful Mind. It is a movie meant to inspire and move its audience, which it does very sufficiently. It is a fascinating story of a man whose greatest asset - his mind - is also his greatest liability, a threat which could destroy him and hurt those who love him. Cynics will hate it, mainly because it's too glossy and (at times) too predictable. But others will see it - and rightly so - as a great cinematic accomplishment which is backed by excellent performances, great direction, a moving score and exquisite cinematography.